This weekend I emceed a fund-raiser for an actor here who was in an accident and, being an actor, has no insurance. My initial plan for today’s post was to simply post the video of my opening “warm up the crowd” routine. This proved problematic when there was no crowd except the benefit organizers and a few people who were there for other reasons. On the “warmed up” scale, the room would have to be measured in Kelvin. People did eventually come, (and it, of course, made sense that people weren’t punctual for a 6-hour festival of entertainers) but by then my routine made no sense. I thought as people came in, I’d litter my bits throughout the evening, but things were very fluid and the evening kept mutating until finally I had nothing to do. 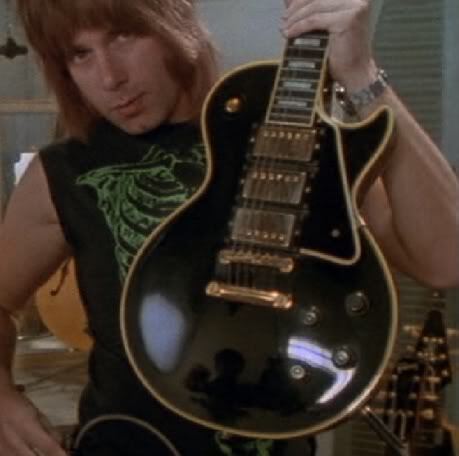 It was intended to be an evening of performers telling stories and bands playing, but once a bar band has Nigel Tufnel’ed their way through “Chain Of Fools” you’d feel silly getting up and talking about how, say, you decided to change careers after a soulful crisis of conscience. So the story-tellers, one by one, came and said they’d reaaaally rather not go on. Phew, thank God that’s taken care off! 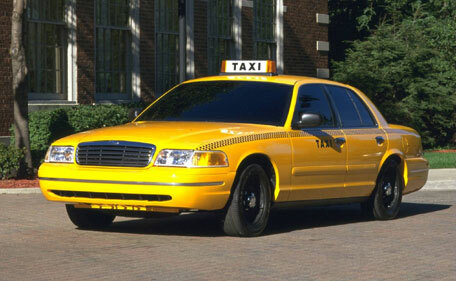 Those cab company collectors are merciless! I went up to each band in turn and asked what they wanted me to include in their intro. And none of them knew what I meant. I thought that was strange. That’s basic self-promotion: “What gross exaggerations and flat-out lies do you want me to tell about you in order to get the crowd fired up about you?” But I think most of the earlier acts were used to walking up, plugging in, saying, “Hey. We’re the band. You guys ready to party?” to a room full of drunks who are not listening, and then launching in to “Mustang Sally” for the billionth time. One band did just that, even though they knew I was supposed to introduce them up with my hilarious banter. So finally, after conferring with the organizers, I just stopped introducing anyone and hung out in the back. (the actor was on his bike when he was in the accident) As you know, we’re here to support a really great cause. We’re here to raise money for… I don’t know… I think it’s for a little boy who wants to buy a bicycle? Or something? I wasn’t really paying attention. So (actor’s) medical bills are pretty massive. And, I know, a lot of people complain about the cost of medical bills, but I say you get what you pay for. And American health care happens to be 500 times better than any other health care in the world! It’s that simple! Oh sure, people go on about the French system and how good it is. But, you know what? I was in France once, and got sick. And my so-called “doctor”? Didn’t even speak English. And don’t even get me started on the Canadian system. Please. 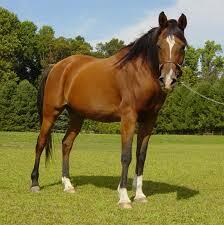 I knew a guy who had to go the hospital in Canada and his doctor was a horse. That’s a 100% true story, except for the part about the horse. And Canada. But I did know a guy who went to the hospital. Oh, yeah, it’s (actor)! He’s right over there, you all know him! So as the evening goes along, anything you can give will help. 20, 10, even 5 thousand dollars will make a difference. You won’t even notice it’s gone. I’ve been to those embarrassingly-unattended fundraising events. At least you were a good friend and tried. I felt bad, though, because eventually I wasn’t even doing that – not because I didn’t want to, but there just wasn’t the need. Oh jeez, I can just feel the embarrassment in your words. Wish your friend all the best and hope that another fundraiser will get planned. Well, there wound up being a decent number of people, but yeah, I think he’s going to need another one, fund-raising-wise. Ouch. But hey, at least it gave you material for a blog post, hmmm? I’m thinking the next fundraiser will be better. The horse joke killed at this breakfast table. Well, that’s really who I was aiming for. Really? He was selling muffins at a dive bar? How very odd. I read that Neil Patrick Harris did that shtick at the Emmys last evening and it flopped big. You never can tell with a crowd. It did seems odd. Strangely sweet, but odd. Oh dear. You did your bit though so at least you can give yourself a pat on the back…in fact…what the heck, I’LL pat you on the back – pat, pat, pat (how was that?). People will only go to fundraisers if it’s either for a cause they are passionate about, or the venue/entertainment is fabulous. Otherwise, well, why go? I’m calling for the emcee to get his own show. Well, I was scheduled to perform a full routine, in addition to emceeing, but I was one of the one’s who said it just wasn’t going to fit the mood. Always a next time. Sounds like a Kickstarter campaign could have had better results for the actor. That’s a terrific idea. I might pass that along. I’m Canadian. I married a horse. Well a doctor. It blows my mind whenever I see fundraisers for people who need to pay their medical bills. In a land that prides itself on freedom and liberty, that hardly seems free and it certainly doesn’t seem fair. Even in Canada poverty is something which can contribute to poor health so it would seem in a nation where the basics aren’t even covered poverty would be the defining factor in health. Thanks Mr. Man for shedding some light onto this subject. Je suis desole que vous avez recu un francais medecin. Quelle dommage. All us crazy French speaking socialists. Things have gotten so horrifically out of whack with out health care that it’s really hard to see a way out – there’s terrible abuse of the system from all directions, and that’s fuel for everyone’s opinion, and a blockade to fixing every problem. It’s a disaster. Sorry about the fundraiser not going so well, but the horse joke rocked! As someone who recently tried to do a reading over the PA system in an acoustically unsound hockey arena as people milled about convention-style kiosks, I feel your pain. But humiliation is good for the soul. You can come and raise money for me any time. I’ve been thinking of becoming a legal charity. It sure would help with the bills. I’ll skip the band and just go with the warmup. Well done, well done. It made for a great blog post! I hope at least you got a tasty muffin out of it. And I thought all horse doctors were veterinarians. I doubt that joke plays well these days. Automobiles have ruined the landscape of humor. That’s too funny. Sorry it didn’t work out… but… although I don’t really know you personally, you seem like someone who could emcee his way out of a total disaster like this any day, or at least give it a damn good effort! I’d love to watch you do a stand up routine sometime. Seriously! Little known fact. Mr. Ed was Canadian and before he got into show biz he was a practicing doctor. By practicing, I mean he use to like to “play” doctor with all the lady horses. That’s hysterical, but when’s the band gonna play Mustang Sally?